Free Deals • Archives • Page 2 of 11 • Hey, It's Free! Amazon's Prime Day is once again upon us. Half their site crashed when it launched this afternoon, so we're off to a roaring success! I'm not going to try and cover everything you can get on Prime Day. There's simply too many deals to cover and I value my sanity. So I've put together a few general groups of good Prime Day Deals along with a few hot items I have my eyes on. Amazon Prime members also get free $5 promo credit wyb a $25 Amazon giftcard. That's literally $5 for free! A $5 promotional credit will be applied to your account within two days after your qualifying Amazon.com Gift Card purchase is completed or, in the case of physical gift cards, shipped. The promotional credit is only valid towards qualifying items sold by Amazon.com and expires on September 2, 2018. Amazon Fresh users get $30 off your next $100 order with code 30FRESH! I personally placed an order for $105 in groceries, so it was like getting a 30% coupon for my total grocery bill! Code expires at 11:59 p.m. (PT) July 17, 2018. FreeTime Unlimited – Get a 3-month family plan for $2.99 (Reg $29.99). They also have 40% off a 1-year plan! Twitch – They're giving away free video game each day! This pairs perfectly with our daily Kindle eBook roundup list! For less than a dollar, you'll have access to every single free book Amazon offers! I can't imagine my life without a Fire TV Stick or Chromecast. Watching anything without them seems quaint and out of date. I love the idea of maybe, potentially, one day going outside. Just thinking about “grass” and and “nature” sends excited shivers down my back! 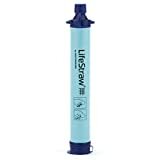 Realistically, I need something in my Bug Out Bag for water purification and fixes that exact problem. I love maps. I love picking them out when I travel and have a smattering of them all over my apartment. So it's no surprise this gorgeous Atlas of the World by National Geographic caught my eye. Last month, I spilled coffee on my lap while rushing to the airport. After screaming the proper amount of obscenities, I pulled over and noticed my old coffee mug had a frayed seal. 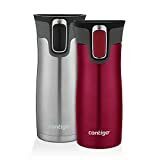 Into the trash it went and into my cupboard goes these new Contigo coffee mugs. 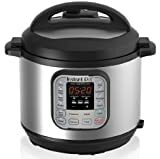 I've heard a million good things about Instant Pots and I already use my Crock Pot quite a bit, so I wanted to pull the trigger on this 6-quart Instant Pot for almost 50% off. Sadly, Amazon kept crashing for me and now the deal is gone. I've got my fingers crossed it comes back before Prime Day is over. Honestly, if you're in the market for anything, it's worth having a look at Amazon's Prime Day offerings. 25% Off Google Express + $10 Off for new Members! It's basically Google's version of saying “we see you” to Amazon. As for the freebie, new users get $10 off your first Google Express order, as long as you make an order within 30 days, which is nice alone. However, current and new users alike also get 25% off (max of $100) with code EXTRA25 through 7/17/18. Note code EXTRA25 is worth 25% off most items Google Express sells, not just their own Google products! Whatever you're in the market for, chances are you can find a local retailer selling it via Google Express! I noticed this deal because I was in the market for a new Chromecast. I saw the Google Store had them on sale for $25, which enticed me enough to almost checkout. However, at the same time, my buddy mentioned I should give Google Express a look. He was using his EXTRA25 code to buy two Nintendo Switch games! Lo and behold, with the EXTRA25 code, I found a Chromecast could be purchased cheaper just by using a different Google shopping service. $31.50 vs $21 isn't much, but it's an important reminder to always shop around before you make any buys online! So what are you using your 25% off Google Express code on? If you're hunting for last minute Mother's Day gifts, take off the camouflage and head over to eBay. Every week they have a ton of gift card deals available via PayPal. After purchasing a discounted gift card, they'll email you redemption code within 24 hours, so you don't have to worry about stuffing your wallet full of cards and ending up like George Costanza. With this, you can make your next meal, trip, or purchase just a little bit cheaper! These offers come and go pretty quick. Thus, similar to our now DAILY updated free Kindle eBooks list, I've hired somebody to keep this list updated weekly! Through March 28, 2018 (11:59 pm, PT), Shutterfly is offering 3 free gifts with promo code 3FREE4U at checkout – all you have to pay is shipping. That means you get to pick any combo of three of the following items, limit 1 per item. Pay $18.97 for all items, shipped! To any Hiffers taking advantage of this great deal, what kind of personalized items are you making for  or  or  or … uh, ? Dead, Deals, Photos. This post may contain affiliate links. See my disclosure policy for details. There are 6 new Amazon Prime Sample Boxes! Amazon Prime's unique “buy a box of freebies, then get credit on those items” campaign got a shot in the arm this month with two new boxes to choose from. Like before, each sample box comes with 5-20 sample-sized products. Boxes cost anywhere from $4.99 – $19.99, but they're “free” since you get the same amount of Amazon credit to buy similar items. So if you buy the Women's Beauty sample box for $9.99, you'd get $9.99 Amazon credit to buy full-sized versions of the beauty items. Here are all of Amazon's current Sample Boxes. If you see a price in the widget, then Amazon has that sample box in stock! Men's Grooming Sample Box – $9.99 with full credit on their products. If you were planning to buy any of these items in the future, it makes sense to treat yourself today with a little sample box! This deal from April 2017 has returned and is even better! Similar to their offer earlier this year, Amazon Prime members can buy 3 Amazon Dash Buttons and end up with $10 in Amazon credit moneymaker. To start, Amazon has a Buy 2, Get 1 free sale on Dash buttons, which cost $4.99 each. Promo code SWEETOFFER knocks $4.99 off your order though, so you only end up paying $4.99 for 3 total buttons. Then each button comes with $4.99 in credit to be used towards the button products. That means you only pay $4.99 for the buttons, but you get $14.97 in Amazon credit to go towards something you know you'll need later on, from toilet paper to coffee to hundreds of other everyday household items. On top of that, if you don't need the products immediately, you can opt for no-rush shipping and get an extra $1 reward for a digital item or a $5 Prime Pantry credit offer. If you're unfamiliar, Amazon Dash buttons are little wi-fi devices that are meant to go around your home. They're meant to make it easier for you to reorder your usual items by the push of a single button. I signed up for a paper towel Dash button and stuck it inside my kitchen cabinet where I store my extra towels. Now comes the fun part of seeing if I can remember to literally push a single button before I run out of paper towels each month. Vegas has me as a 2-to-1 underdog! Note in order to receive your free $4.99 credit, you must use the Dash button once before the end of this year. Amazon's 3rd Prime Day is today, July 11, and it is stacked with sales and deals for Prime members! Like previous years, they're marking down all sorts of random items, like most of their own tech devices, including Amazon Echo, Alexa, Kindles, and Fire tablets. Aside from that, it seems like a million things are on sale, but many of the items are only on sale for a limited amount of time. However, with deals being posted every 5 minutes, chances are you can find something you need on sale for a steep discount. I'm seeing 9998 on sale right now, so I won't be trying to highlight every deal I find. But if you have some time and want to get a little gift shopping out of the way (for others or yourself! 🙂 ), I'd definitely look around and see if there are any deals that piques your interest.